Since November, 61 LCS staff members across all school departments have participated in 15 professional development trips. We’ve visited leading-edge organizations and businesses like MaRS Discovery District, Shopify, Evergreen Brickworks, the Centre for Social Innovation, and the Peterborough and Kawarthas Innovation Cluster; and educational institutions such as the Centre for Teaching Support & Innovation (CTSI), The Global Online Academy (GOA), the Rotman School of Management, the Universities of Ottawa and Toronto, and a number of public and independent schools. We’ve explored topics related to strategic property and infrastructure development, grade-less assessment, teaching, and entrepreneurship, while focusing on the ever-shifting landscape of education and jobs. Below are a few of the high-level observations made by our faculty and staff capturing what they believe to be key skill sets, characteristics and environments essential for LCS to consider while exploring how best to prepare students for success. Universally, LCS staff reflected on the non-linear nature of the 21st Century world. Students will need to be resilient and adaptable, with a willingness to embrace change and disruption. They should equip themselves with what some describe as T-Shaped skills: deep knowledge in defined areas, while being broadly able to understand and collaborate across disciplines using strong communication skills. The world is changing rapidly, continuously and across multiple sectors. Political, socio-economic, technological, and cultural considerations (among many others) shape our media and our access to information—and resultant innovation—is unprecedented. Future career paths will regularly blur the traditional boundaries between industries and across sectors, and we must strive to prepare students for uncertainty, relentless pace-of-change, and for careers that don’t yet exist. The team that visited The York School, Greenwood College School, and the Island Yacht Club in Toronto noted that, jobs are becoming harder to find, and that urban communities, especially, have less access to nature and natural spaces. They highlight a need for adaptability, an entrepreneurial spirit, and the need to foster a connection with natural spaces and the natural environment. The ever-evolving world presents a significant challenge for LCS as we prepare students for life after graduation. Community feedback tells us that we excel at providing a strong, caring community and warm, supportive, well-rounded student experience. How do we embrace change to ensure we maintain these strong qualities as a learning community, remain relevant, while providing students with the education and preparation they need to succeed in the future? 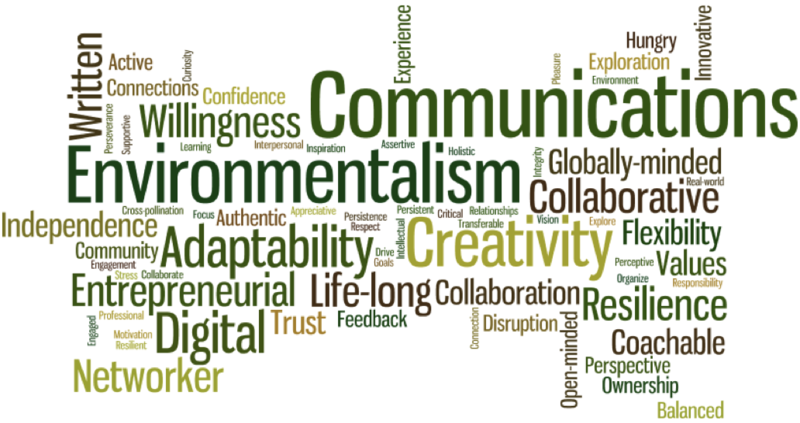 To develop a learning culture and program that fosters the skills, competencies, and characteristics that students will require to thrive in the future will mean that LCS, as a school and as a professional learning community, will also need to be adaptive and resilient moving forward with confidence and creativity. On numerous reports, faculty and staff have suggested LCS would benefit from more interdisciplinary connections across the curriculum and better integration of the school’s indoor spaces to the outdoors, with the integration of our natural campus into all aspects of learning. Whichever way we move, Assistant Head: Academics Joe Bettencourt emphasizes the importance and value of ensuring we continue to know our students well as individuals, despite this time of change. As the school moves forward with its research, we have time to consider all we have been learning in our strategic research process. We are committed to seeking input from various constituent groups, researching trends, practices and other schools, and thinking about the future of Lakefield. Based on staff feedback thus far, there is no doubt that LCS is up to the challenge. The opportunity to live our values and to model resiliency, adaptability and a willingness to embrace change will positively impact our students and provide them a springboard to life-long success. As we continue to evolve and adapt to meet the needs of students for today and tomorrow, our mission and values continue to guide us. They provide a foundation of strength upon which we can move forward in developing new generations of thoughtful, engaged, and well-rounded young people.